In our Relationship Tuesdays, we just started looking at God’s love, and today we’re going to continue looking at God’s love in relation to sin, and it’s going to be a relatively simple lesson. 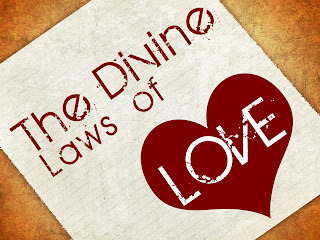 Paul says we know what sin is because of the law (Romans 7:7), Jesus says that the whole law is summed up in two commandments: love God with all your heart, soul, and strength and love your neighbor as yourself. (Mark 12:30-32) If love fulfills the law, then anything other than love is sin. If we don’t sin aka love, there’s no punishment. Thus perfect love casts out fear, because fear involves punishment, and the one who fears is not perfected in love. If you’re afraid of punishment, it means you’re not living in a loving way in every area of your life. And yet by giving in to the lies, you’re not resisting, so why would the devil flee? Do you want to know if you’re loving God and others perfectly? Read 1 Corinthians 13:4-8, and replace the word Love with your name. “Stephen is patient, Stephen is kind, Stephen is not jealous, Stephen does not brag, he is not arrogant” . . . I’m already falling short of perfect love, and I’m not even a quarter of the way through it. I’d wager no one, save Jesus, could read 1 Corinthians 13 this way and not be lying through their teeth. It’s called a sinful nature. But there’s good news. We even call it The Good News, and we’ll talk about it in our next Relationship Tuesdays: The Gospel of Love. The Corinthians verse was read at my wedding. Enjoyed the lesson. God bless!